I have been out and about almost every single day photographing and styling for my book and blog. that I have been photographing and some special people that I have been working with. The beautiful house and garden above is the home of my 'new' friend Bee Smith Gilbert and her family. Bee, who is also a stylist and blogger came into my studio last year when I first opened and we talked for hours (still do most days). A couple of weeks ago Bee dropped in again and she was talking about her selection of jams 'Bee Bon Belle' that she makes and sells at her shop at Dirty Janes in Bowral and she said that she was about to pick some quinces . Well...that was it!! the beginning a beautiful friendship. I said, Bee...let's do a shoot and I'll photograph you and your quince jelly - from the tree to the table. When I arrived at her home to pick her up, I drove into her amazing old property and I said, forget the quinces today, I think I need to photograph your home and garden. The light was amazing as it flooded in through the french doors into her living room on a beautiful, beautiful Autumn morning. There's more to come...Bee and I will be setting up a wonderful table setting next week and shooting it on her patio under her Japanese Maple tree, it's just about to change colour. 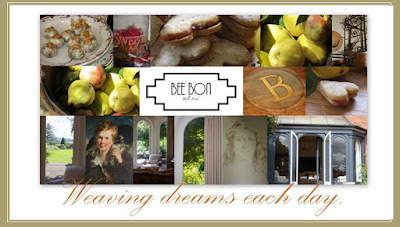 Bee's blog - "Bee Bon Belle"
A couple of days later we finally went off together to a gorgeous old farm in Berrima (above and below) to pick the quinces and to my delight the farm was gorgeous, old slab buildings, stone walls, lovely old trees and it also needed to be photographed. Look at the all the wind flowers in front of the house and the colours of Autumn. I have so much more to show you over the next couple of weeks on this property. Last week I had a call from another friend, Real Estate agent Judy Fisk who called to say, Coty, come and have a look at a property that I have for sale in Robertson, it's just Divine and the view is breathtaking. The owners of this home have lived here for over thirty years and it's hidden down a country lane on the edge of the town with views from the top of the Southern Highlands escarpment to the Coast. I will share this story with you next week, it's fantastic! The topiary garden is so pretty and there is a croquet lawn as well....The owner is an artist and what a wonderful place this is to create and paint. He is the one that the dealers drive to the Southern Highlands to buy their wares from. Then back at my studio I have been working on some Autumn still life shots. It really is a magical time to collect things from the garden. I have boxes of pines, baskets of leaves, sticks, raffia, feathers and more. Please drive carefully on this holiday weekend. Your work is breathtaking. I can not wait for your book to be published. I have followed your blog for several years and am always inspired. Last year I published a book of our work, Romancing the Home Entertains, and it's the most rewarding accomplishment. . I am looking forward to purchasing your book for my library. But in a good way I assure you dear friend. Fine examples of why I wish we lived closer. Your photos are beautiful and such compliments to your new friends as well as yourself. Remember I get an autographed copy of your book from the 1st printing! beautiful as always dear Coty. that home is simply gorgeous..
Oh, I can't wait to behold all the beauty.